Drought is defined as little precipitation over a large geographic area for a prolonged period of time . This means droughts can have widespread impacts on ecosystems and water users that can last from part of a season to several years . Impacts range from municipal water use restrictions, to stress on coldwater fish species, to loss of crops and agricultural productivity. 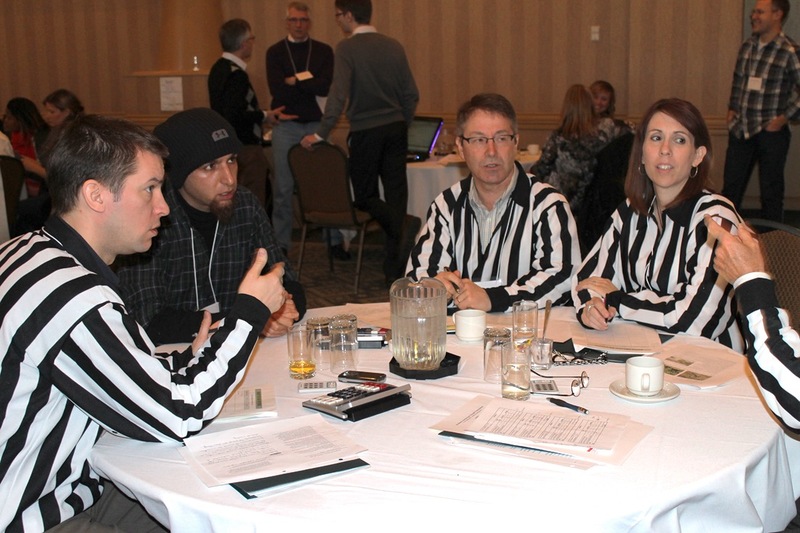 Caption: Water managers and planners participating in the Invitational Drought Tournament, first piloted as a way of developing integrated drought management strategies in Calgary (Photo Credit: Dr. Graham Strickert). Alberta has a long history of drought. Today’s mitigation methods have evolved out of lessons from past drought events in Alberta and across the globe. Drought and emerging concerns over global water scarcity have brought mitigation methods such as wastewater reuse to the fore, while reinforcing the importance of methods like limiting use and maximizing water-use efficiency. Alberta has a range of drought mitigation policies and technologies that, when used simultaneously, can help prevent the negative effects of drought, respond to emergency water shortages, and build the resilience of ecosystems and communities. This section highlights several of the different drought mitigation options in Alberta.